This is a guest blog post from Progressions Director Julie Rinard, who we feature on the blog periodically to provide an insider’s look at our Progressions initiative. In this post, she previews our inaugural Progressions Summer Music Program, which kicks off in less than a week. At this time last year, the Progressions spring semester had ended. I said my good byes to the students and knew we would not see each other until again the fall. But yesterday, after the Jeanne R. Meadows and Success Academy students had performed at the school talent show and enjoyed their end-of-year party, things felt decidedly different. There was not a feeling of finality, a sense that a vast expanse called summer lay between me and my next interaction with the students. This year, we are launching the first ever Progressions Summer Music program. 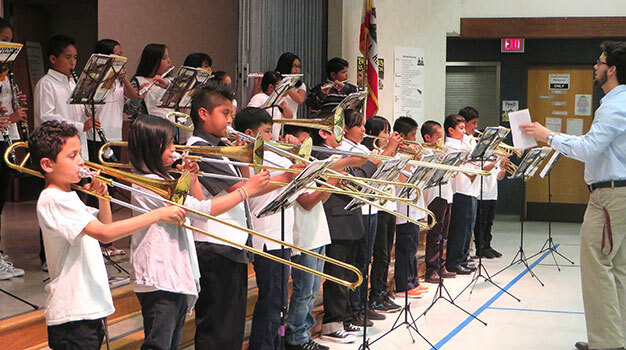 With 40 kids enrolled and counting, we are offering what will be the first-ever intensive summer music immersion for our students. In fact, for some kids, it may be the only summer camp they ever attend. 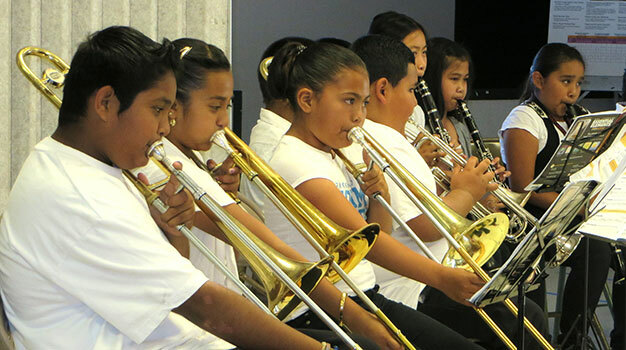 The Progressions Summer Music Camp takes place at the same time as our existing Summer Jazz Camp, held this year at Mexican Heritage Plaza. It is followed by weekly music lessons in the neighborhood. The roster is a mix of existing Progressions students who have already been hooked on music and new recruits who have eagerly watched the program from the sidelines — until now. 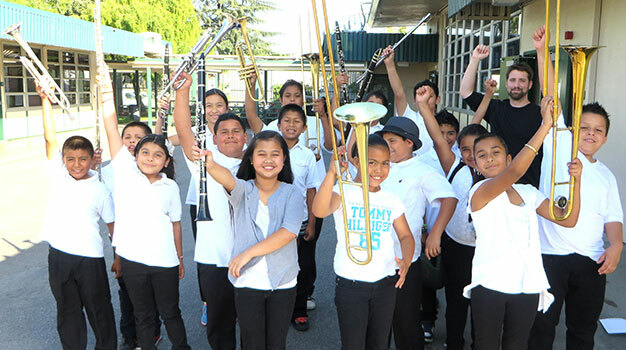 Thanks to funding from the City of San Jose Safe Summer Initiative Grant, San Jose Jazz is covering most of the expenses for the Camp. We are asking families to contribute a fraction of the cost. Nonetheless, I have had multiple families ask if they can enroll now and pay on the first day of Camp, or give a down payment of $10 now and turn in the balance after pay day. Progressions has a firm policy: we never turn a student for lack of financial resources. I have also had families tell me that all family members work and do not have the flexibility to take the child to and from Camp. On the flip side, I have had children express hope and anticipation at the possibility that this Camp represents to them. I walked onto the Santee campus Thursday afternoon to pick up a few items. After I’d entered my classroom, I heard some rustling followed by giggling. One of my students and her friend had seen me across the blacktop and wandered in through the back door. They were hiding timidly in the corner. When I approached them, I saw that the friend’s eyes were gleaming: her mom had told her that she can go to the Camp! I gave her a form and instructed her to attend the information night this week. On the way out, I ran into another Progressions student eating lunch. She and her brother both desperately want to attend Camp, but they have a complicated home life that may prevent them from registering. Nonetheless, at her request, I got on the phone and left yet another message for mom encouraging her to reach out to me to discuss how we can get both kids to Camp. I have yet to receive a call back from her, but I have to believe that it makes a difference to her kids to know that I am fighting for them every step of the way. For more information on our Progressions initiative, please visit the Progressions page on our site.